Description:Trinity Street Presbyterian Church with its adjoining school building just beyond. The camera is looking up Trinity Street towards Stafford Street. This side of the church is the Royal Insurance Company office building and just next to the school, the entrance to the Piccadilly Arcade. The Gothic style church with a tower and spire was opened in 1885 and the school building in 1912. 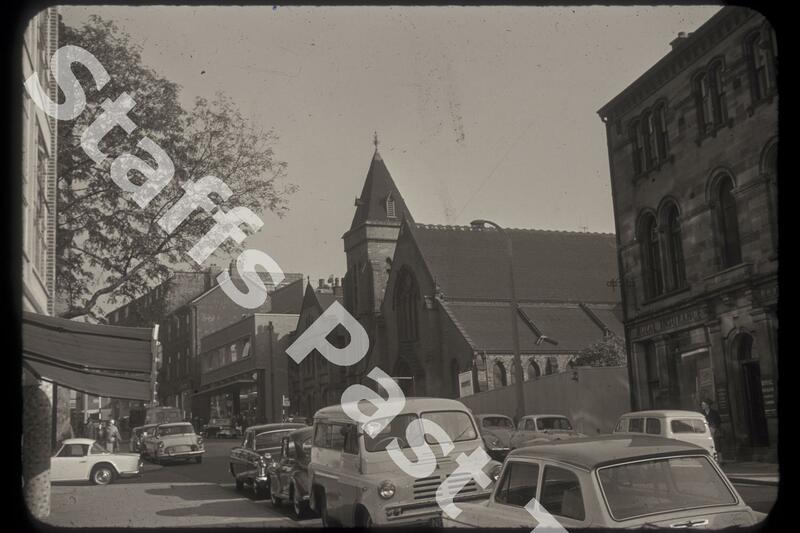 This church was established by a breakaway from the Congregational Chapel in New Hall Street. 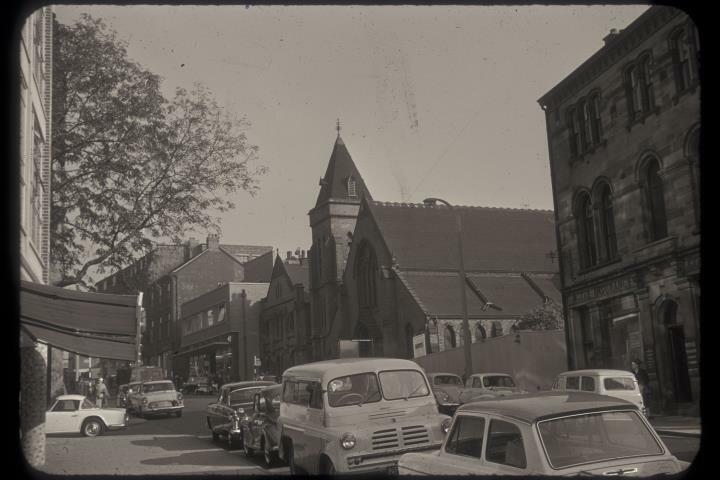 Demolition of the church, school and office building occurred in 1987, this side of Trinity Street becoming a bank and range of shops. Parked on this side of the street is a Bedford CA van, the basis for the popular Bedford Doormobile camper van conversion.